I enjoy bringing insight to others during times of darkness. I specialize in finding the solution to the everyday problems which life presents. Instead of just mechanically reading to a client, I make sure I look into the matter with the precision of a surgeon. With my Spiritual findings I then like to give the reader the medicine which will help heal the issue at hand. My joy comes from switching on the light in the abyss of the clients soul and knowing that I have had a helping hand in guiding them correctly. Born under the Constellation of Scorpio gives me a fixed mind which is impervious to outside influences which has no relation to what I'm looking into. Therefore my electric mental vibrations once focussed will create an unimaginable magnetic field which enables me to attract what I need to know. As a young boy during my dream time, having experiences which would defy the laws of Science. Healing a client through helping them understand their innate potential. I don't profess to any wishy washy readings or banal explanations. I seek the solution and guide appropriately, I alert you to what you need to know rather than what you want to know and my experiences stand at a high level that others can verify. 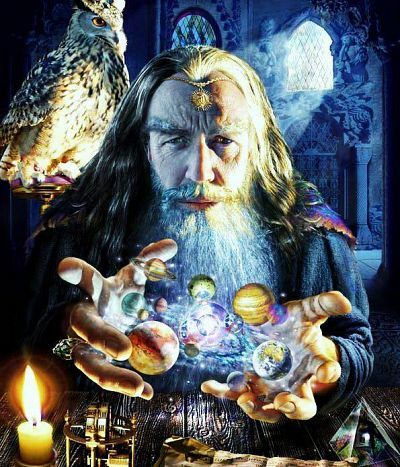 Astrology diploma, Tarot Practitioner, Motivational speaker, Jungian analyst, Member of well know spiritual circles. One must consider that I work through the mental plane of existence which we 'advisor's' refer to as The Mental Plane. Through the divination mediums or received impressions I will guide you to the final outcome of a particular question you have in mind. It's important for you to understand that you are the 'hero' of your own myth and I act as the 'wise' old man who guides you on the path to your victory. Therefore you must remember that you by the own actions of your being can either support or destroy what is forecasted to you. We readers are ambassadors between the Divine and the mundane worlds, nothing more nothing less! And a skilled reader will have the art and science of cosmic guidance fully developed within his arsenal of spiritual armour. So venture forth and weave your destiny via the advice that is forecasted for your soul. Be Triumphant! Thank you so much for for such a accurate. Will definitely be bsck for another reading. contact came in before new years as you said it would. It was a sheepish dipping his toe in the water but it still came in as you said, I reckon more will come over the next couple days, thanks for the reading. Had an amazing conversation with fiat lux. Lovely reading definitely feel more uplifted and motivated. This funny compassionate man is a real gem. He is able to quickly connect and give you validation after validation. No sugar coating just honest upfront answers and spiritual guidance. Ive spoken to him many times now and love talking to him his calm voice puts you straight away at ease. His predictions happen within the time frames he predicts and he is always on point. Highly recommended. Bekah. Leave feedback for "Fiat Lux".